Lisburn Museum is situated in the centre of Lisburn, in historic Market Square. The museum is situated in the centre of Lisburn, in Market Square. Local on-street parking is available but limited (see map below). 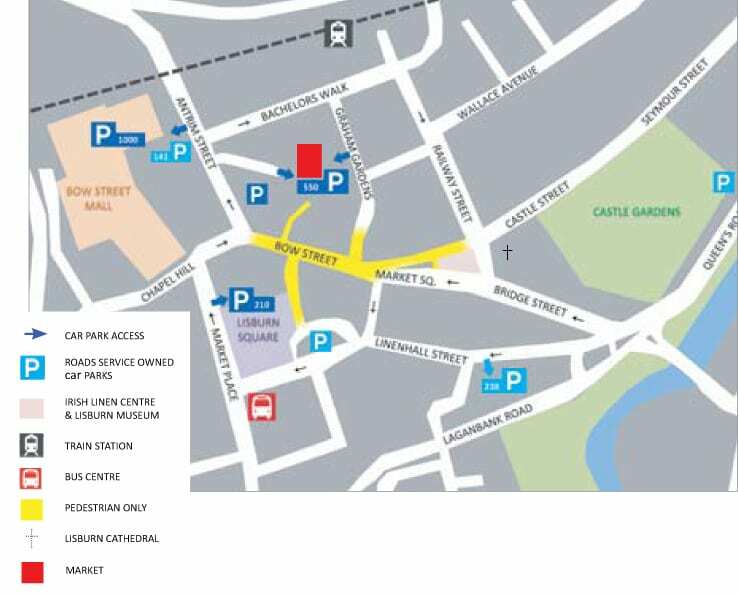 Car parking for disabled badge holders is available on the north side of the building, from Shannon’s to Boots. The museum is 300m from Lisburn Rail Station along Railway Street. Lisburn is well-served by a bus service, for a full timetable and journey planner contact Translink on +44 (0) 28 9066 6630 or visit www.translink.co.uk for up-to-date timetable information.